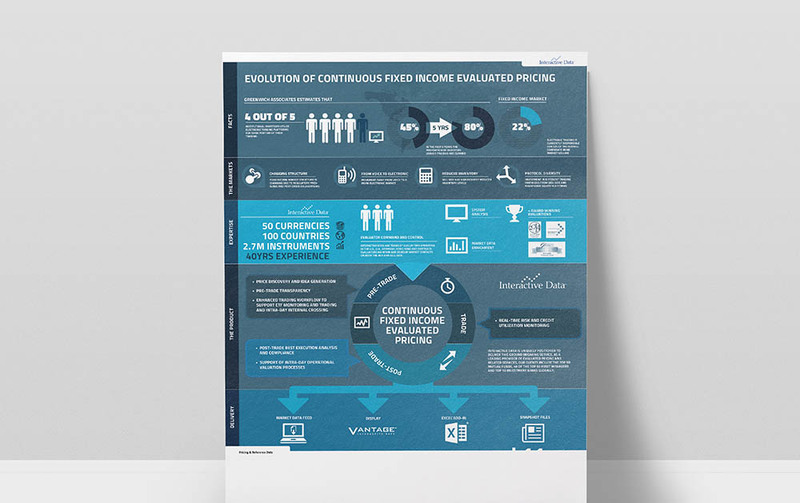 We were approached by Interactive Data, who are now known as Intercontinental Exchange, to produce a website and marketing material for their Continuous Fixed Income Evaluated Pricing Service. 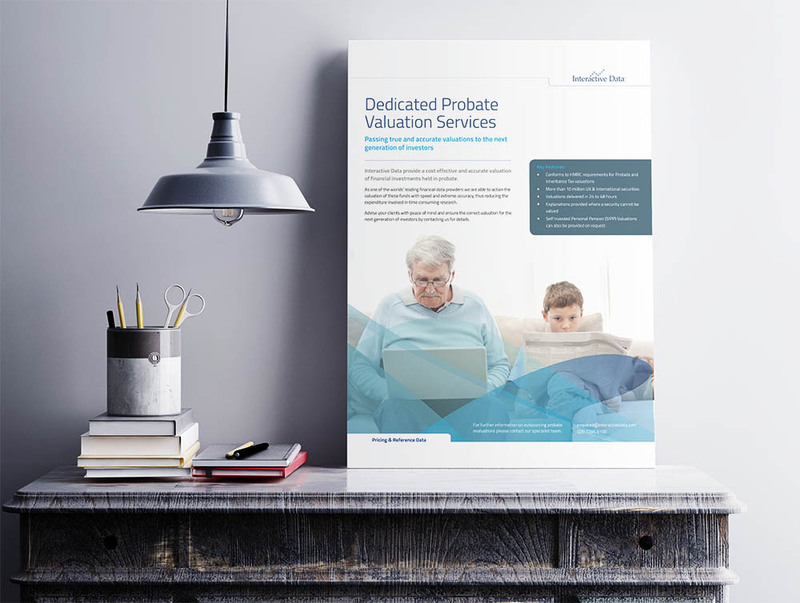 The brief was to raise awareness of the services offered by Interactive Data and to highlight their experience as the leading provider of data to a global audience. At the time of working with Interactive Data they had traditionally been a safe brand with no clear brand style or guidelines issued. 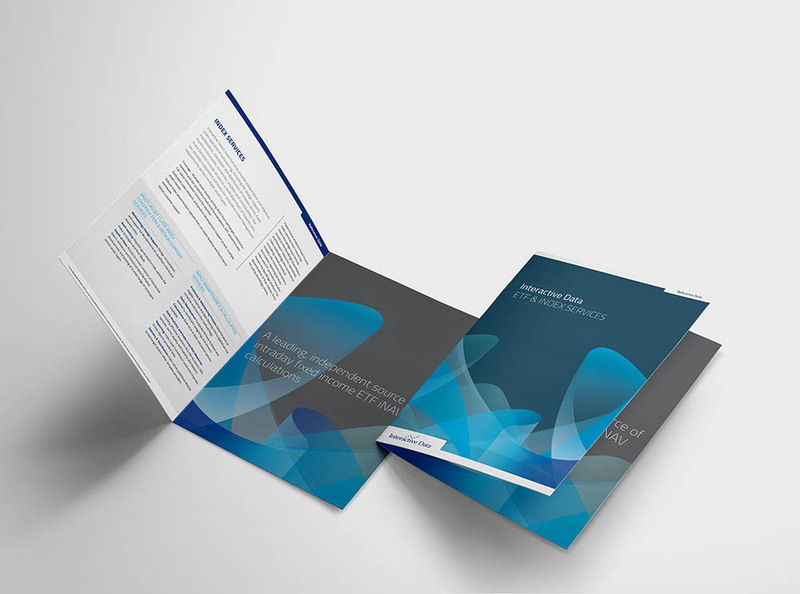 We were requested to create a new brand style that would compliment the products offered. In doing so we introduced a new colour palette and a new font set which was then applied to all marking material. The website was backed by a series of infographics which outlined the process of the aspects of the CEP service. This was also accompanied by a brochure and also a explanatory video. 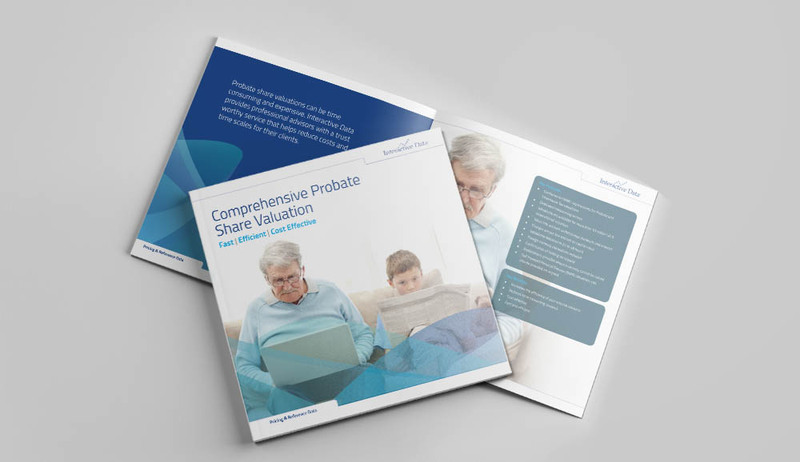 Form Advertising also produced press based advertising campaigns and brochures for their Probate Valuation Services. 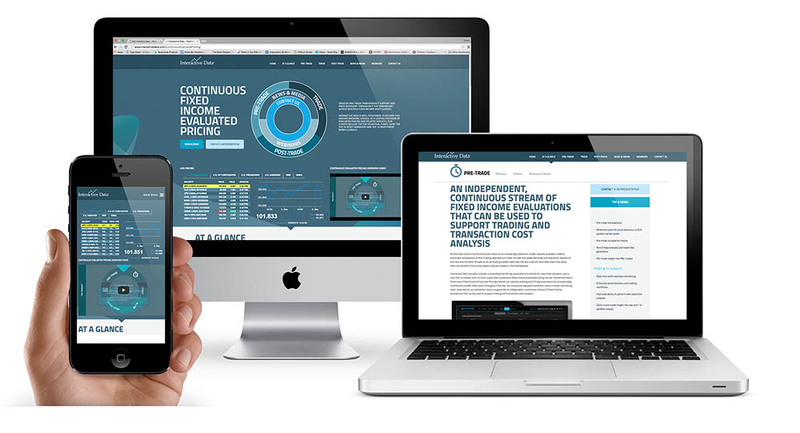 Thousands of financial institutions and active traders, as well as hundreds of software and service providers, subscribe to Interactive Data’s fixed income evaluations, reference data, real-time market data, trading infrastructure services, fixed income analytics, desktop solutions and web-based solutions. Interactive Data supports clients around the world with mission-critical functions, including portfolio valuation, regulatory compliance, risk management, electronic trading and wealth management.